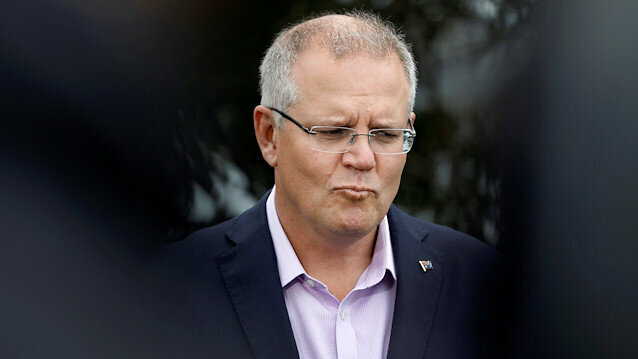 Australian Prime Minister Scott Morrison said on Thursday he has secured support for his minority government after striking a deal with an independent lawmaker. Morrison's conservative government was reduced to a minority in parliament after voters in a wealthy Sydney constituency voted for an independent candidate in a by-election to replace former prime minister Malcolm Turnbull, who quit politics after he was ousted by his own party. Morrison, who must call an election by May 2019, had to seek support from independents to prevent a no confidence vote that would trigger an early election. On Thursday, the prime minister said he had struck a deal with Bob Katter, an independent MP from Queensland. "The agreement will support the continued stability of the government, and us getting on with the job," Morrison said in an emailed statement. The government promised A$234 million in federal funding for irrigation and dam projects in Queensland, where parts of the state have been hit by a devastating drought. Reuters was not able to reach Katter for comment. The agreement increases the chances of Morrison serving out his term in office. Lagging behind the opposition Labour party in opinion polls, Morrison had moved to satisfy the demands of several independents by quietly evacuating child refugees from one of Australia's remote Pacific detention centres. Under Australia's tough border control policy, asylum seekers arriving by boat are detained in two Pacific detention centres until they are accepted by another country or agree to return home.